In recent weeks, in the face of Europe’s seemingly intractable economic troubles — the continent’s worst crisis since World War II, according to German Chancellor Angela Merkel — gold has been, at best, treading water. Many American investors are wondering why the metal is not responding more positively to Europe’s never-ending sovereign debt crisis and other worrisome economic and political developments around the world. The explanation for gold’s failure to move higher in recent weeks, following its spectacular rise earlier in the year, has much to do with which currency we choose as the numeraire or yardstick with which to measure gold’s price. 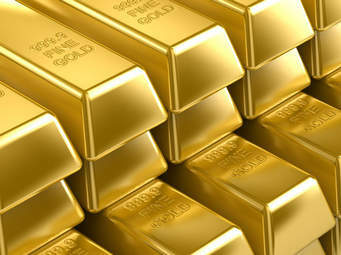 In U.S. dollar terms, gold may be off its all-time high, but when measured in many other currencies — the euro, the British pound and the Swiss franc, for example — or in the currencies of the two biggest gold-consuming countries, the Chinese yuan and the Indian rupee — gold is today trading at or near its historic all-time highs, and perceptions of the gold price among residents of these countries is somewhat more positive than among those of us who think of gold only in U.S. dollars. What’s happening behind the scenes, so to speak, is that safe-haven and short-term speculative demand for U.S. dollar-denominated U.S. Treasury securities has been disproportionately large compared to safe-haven and short-term speculative demand for gold. It’s not that demand for gold in world markets has actually diminished in the weeks since the early September all-time high. In fact, demand — physical demand for real gold in all of the major markets around the world — has remained firm. It’s just that demand for the U.S. dollar has been relatively stronger. And the result has been a rise in the dollar’s exchange rate with other currencies — and, if you will, the dollar’s exchange rate with gold. But, the greenback’s relative strength is not an indicator of the dollar’s value or purchasing power. American consumers — when they go to the grocery store, heat their homes, fill up at the gas station, go out to dinner and the movies, or attend a professional baseball or football game — will tell you the value of their dollar is shrinking. This is one reason a growing number of American investors are keen on gold. While institutional traders and speculators may be of short-term importance to the gold price, producing a great deal of volatility with big price swings up and down, they have absolutely no affect on the long-term trend and average prevailing price over a span of years. What governs the price of gold over the long term are the market’s real-world supply and demand fundamentals — and these continue to be bullish, in fact, increasingly so. Hence, my strong belief that the price of gold — in U.S. dollars and virtually all other currencies — is heading higher, much higher, over the next several years. I have no doubt that the recent downward pressure on the gold price arising from the U.S. dollar’s “apparent” strength will prove to be temporary — and, before long, gold will resume its long-term upward trend. Jeffrey Nichols is a recognized expert on the economics of precious metals markets. He is managing director of American Precious Metals Advisors (www.NicholsOnGold.com).